This document summarizes several high-level takeaways that emerged from the March 2017 Web Development Summit. 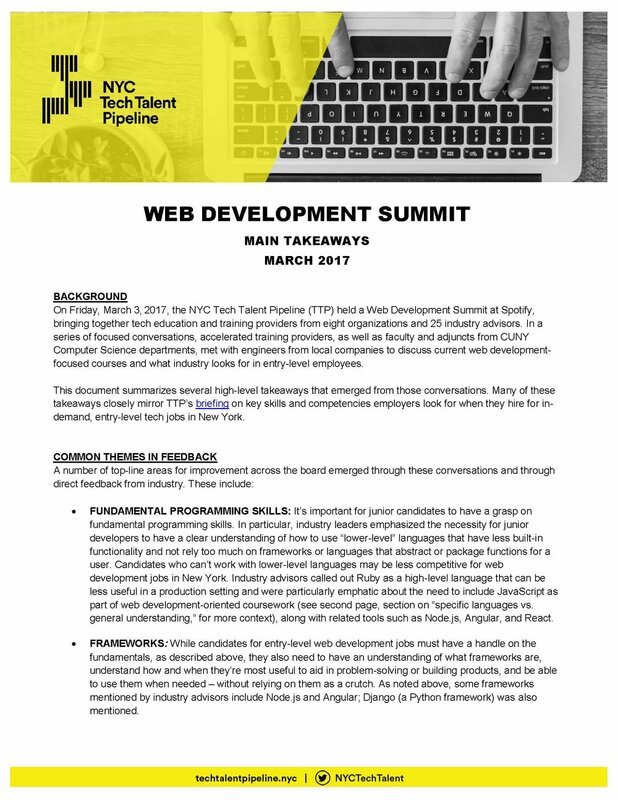 On Friday, March 3, 2017, the NYC Tech Talent Pipeline (TTP) held a Web Development Summit at Spotify, bringing together tech education and training providers from eight organizations and 25 industry advisors. In a series of focused conversations, accelerated training providers, as well as faculty and adjuncts from CUNY Computer Science departments, met with engineers from local companies to discuss current web development-focused courses and what industry looks for in entry-level employees.